In Scotland, the ACN Office supports benefactors, parishes, schools and special interest groups in throughout Scotland. Lorraine McMahon, Head of Operations for ACN in Scotland, would be delighted to hear from you at any time. To request an appeal or to find out more information about our work in the region, please contact ACN in Scotland. 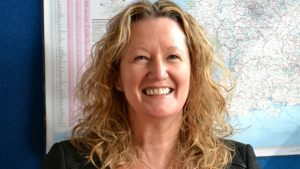 Lorraine McMahon is the Head of Operations in Scotland with overall responsibility for fundraising and raising awareness of the work of Aid to the Church in Need throughout Scotland in line with ACN UKs overall Strategic Plan. Lorraine does this by leading fundraising initiatives in parishes and schools, holding events and building relationships with the clergy, benefactors and communities. This role oversees the communications, the Area Secretaries in Scotland, as well as the Parish Representatives in Scottish parishes and an increasing number of ACN volunteers. Lorraine joined ACN in November 2010 with 29 years’ experience in the Financial and Corporate Sector, where her roles included International Banking, managing Customer Service and leading projects using Six Sigma process improvement techniques. Since being appointed to this role, Lorraine has fulfilled a childhood dream of helping in some way with missionary work. 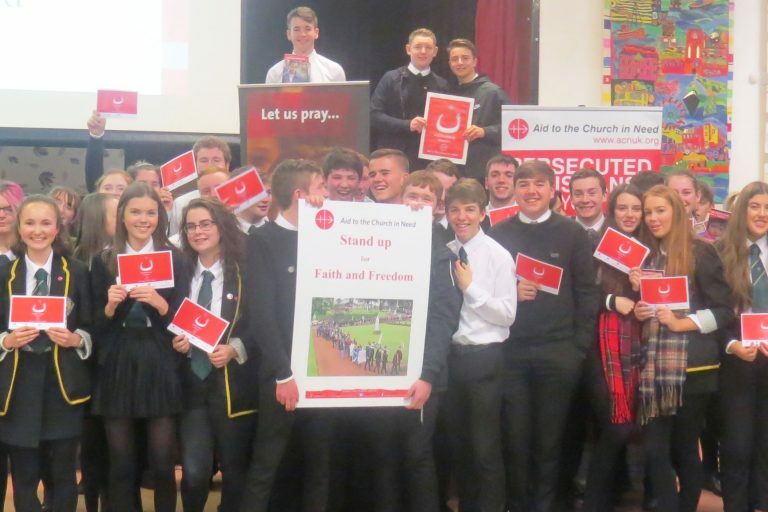 Her personal mission is to make the Scottish community, including young people, aware of the plight of Christians and encourage and support them in their Christian faith to know that they can make a difference in our world through Prayer, Information and Action. Lorraine is originally from and lives in North Lanarkshire. She is based in our Motherwell office – and absolutely loves her job!